With more than 90% of recruiters now using the Internet to find, screen and hire job candidates, it's not enough anymore to just post your available position on the job boards. 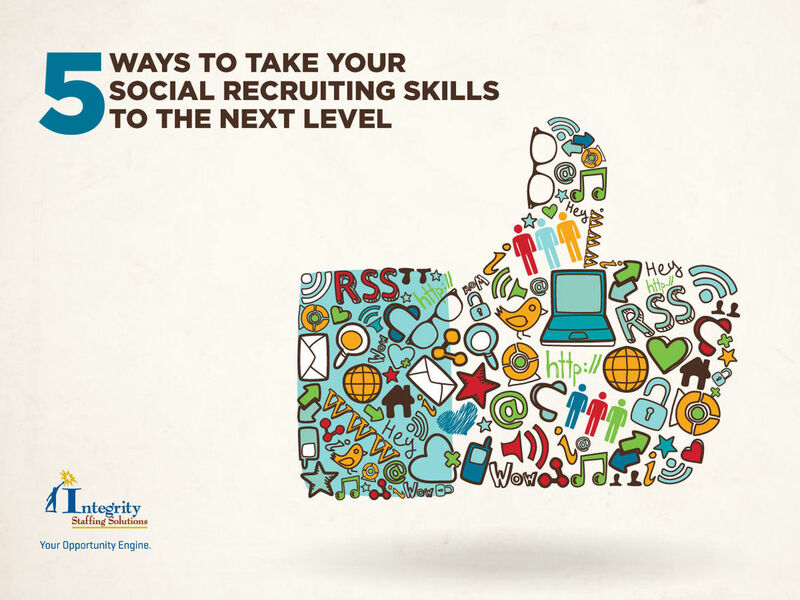 To attract the best talent, you need to turn social media into a recruiting advantage. 1. Work your company's own social media pages. Everyone who visits your Facebook, LinkedIn and Twitter pages should be aware — and be able to share — that you have an opening to fill. Some large companies even maintain a separate page just for career opportunities within the organization. 2. Use the social media site's job postings. LinkedIn charges a fee for this, but it costs nothing to use your status box for a mass broadcast to all your connections that you are hiring. On Twitter, include a hashtag such as #job or #NAJ (need a job?) in your tweet to increase response from job seekers. 3. Do your own searches. The very best prospects might not even be looking for a job right now. Social media is a great way to get a jump on your competition and connect with these people. Simply use the site's search engine to find users, pages and professional groups relevant to your industry or a particular position. 4. Use ads to refine your results. When you place a Facebook Ad or use a service like AdLogic to reach Twitter users, you can specify a vast array of characteristics that you would like to target. For example, for a physically demanding position you could target younger people. Just be careful not to cross the line into discrimination on the basis of gender, race, etc. 5. Evaluate job candidates' profiles. In those pages there's a wealth of information about an individual's experience, communication skills, personality and ability to fit in with your corporate culture that you would never get from a resume or even an interview. Social media can both widen your talent pool and refine it to just the most qualified candidates. You can't afford not to have such a valuable recruiting tool on your side; and with these tips you'll be able to use that tool effectively.